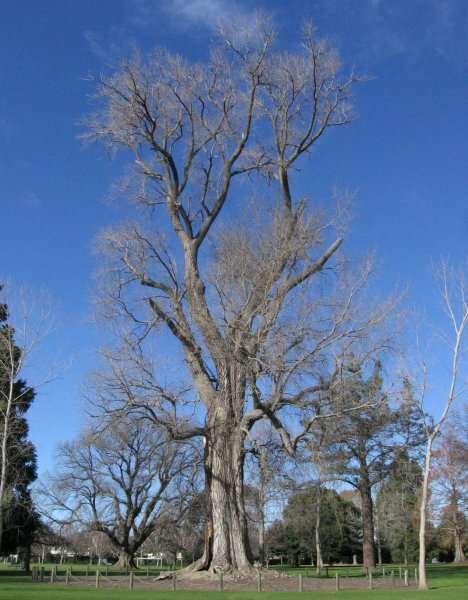 Mostly known as necklace poplar in New Zealand and by its former synonym P. deltoides 'Virginiana'. 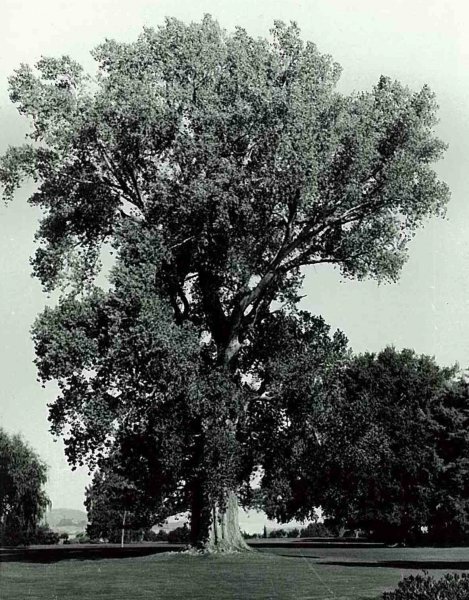 Given its widespread distribution, this female clone remains one of the most common poplars in the country. Perhaps because of this predominance New Zealand botanists have given the clone the local name ‘Frimley’, after Frimley Park, where the prize specimen grows. 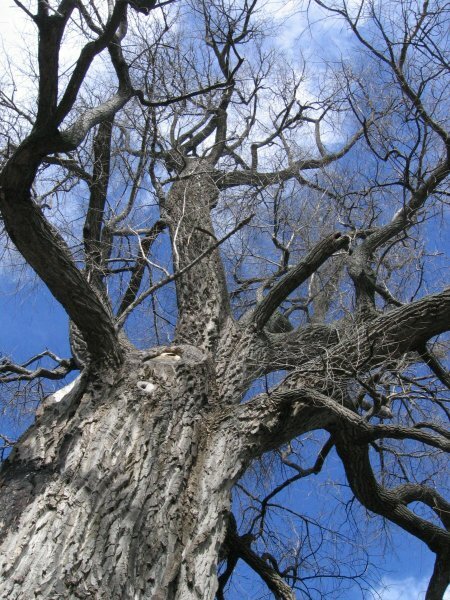 The necklace poplar is generally thought to have originated in France in the 1770's as a (female) sport from cuttings planted from Populus deltoides, the American cottonwood. The arrival of the species in New Zealand is, however, not well documented. It has been held that the French brought it with them to Akaroa but, against this possibility, there are no specimens of the tree of requisite age in that area. The earliest known introduction to New Zealand was a young plant sent to James Deans of Homebush Station near Darfield Canterbury, from Britain in a Wardian Case in 1852. 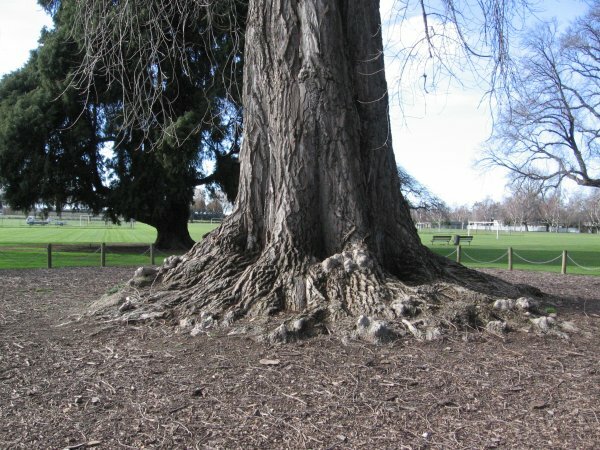 The (Dean) tree growing less than 100 m from the old homestead is the progenitor of the thousands of species throughout New Zealand including the Frimley Park) tree. The earliest distribution recorded, and no doubt responsible for the rapid spread of the tree, was made by the Armed Constabulary about 1865. Cuttings were planted around the blockhouses and redoubts of the Land War period. The old fortifications are usually gone there are large specimens of this species which mark these early sites (Edited notes taken from Burstall and Sale (1984) ‘Great Trees of New Zealand’). 'It seems that the tree suffered from the recent Hawkes Bay drought. The measurements have been checked three times.' Looij 1986. 'This is the largest known deciduous tree in New Zealand and one of the largest poplars in the world. Growth appears to be declining as, since 1969, the diameter has increased by 4cms and there has been little if any height increase'. Burstall 1969. Reference. Burstall SW. FM. Report no. 18; p.53. The average of 4 sightings taken. Taken above the root flare. 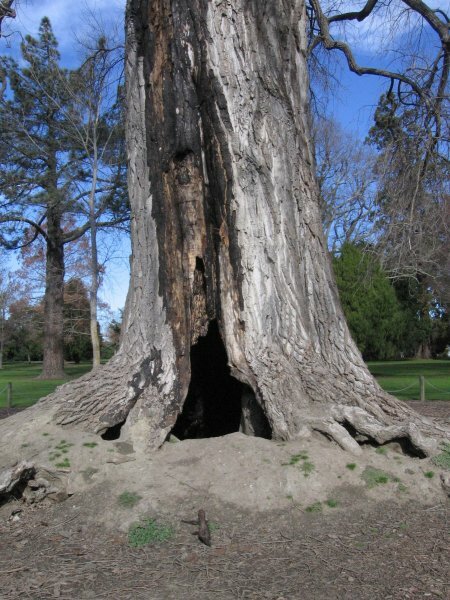 A heavily decayed base and is largely hollow. A recent fire has added further damage (July 2011). A massive open grown specimen. 29 Jul 2011 Cadwallader, B.G. Situated in the middle of the park.